Now that Julia is almost 2 and a half years old, we teach her how to wash her hands, wipe her mouth and brush her teeth on her own. We are also starting to potty train her. Dealing with Julia’s readiness and teaching her the process is 80% of the challenge. Everything in our home is adult-sized, so 20% is for finding the right tools to help us. I am a reluctant online shopper but I must say -- You find the best deals and the right products for your needs online. I was absolutely delighted when I discovered Babies to Toddlers. 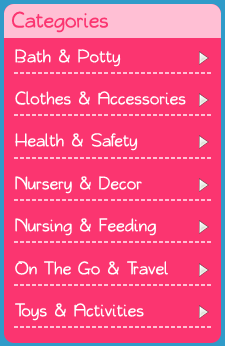 It is an online retail store of hard-to-find items for infants through toddlers since 2009. 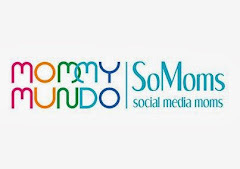 They carry a carefully selected assortment of the finest quality gear, nursery and feeding accessories, baby aids and a variety of wooden mobiles, toys and a lot more. Each product is pre-selected for innovation, excellence, social consciousness, development appropriateness and styles so expect that the products they sell have the best quality. What did I find? Faucet extender! Genius! This will make it easy (and safe!) for Julia to wash her hands and brush her teeth. I also found potty covers. These are toilet seat covers we can use when we are travelling. Love them! To purchase, simply go to www.babiestotoddlers.com. Create an account. This will make your next visit more convenient. Now this is important because I will bet my one month’s salary, you will come back to purchase again. They sell so many hard-to-find and innovative products! Also, by creating an account, you will receive updates and product information through email. Navigate your way to the different product categories. I am no tech genius so I like easy to navigate websites like Babies to Toddlers. When you find the product you like, click Add To Cart. The offer free shipping for orders over P1,200.00. If you are shopping for a gift, you have an option to request your gift to be wrapped and you can specify your message for the gift card. Nice! You can pay via bank transfer, paypal or cash on delivery. So easy and convenient! Now, before you start shopping, let’s giveaway some gifts from Babies to Toddlers. 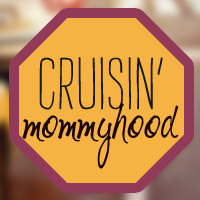 Two Cruisin’ Mommyhood readers will win a gift from Babies to Toddlers! One winner will receive Aqueduck and the other will win a pack of Potty Covers. Yey! Follow instructions from Rafflecopter. Remember, you need to have a valid email address and Philippine mailing address to join this giveaway. If you have already won a gift from Babies to Toddlers, you are no longer eligible to join. So, good luck and happy shopping!